You are currently browsing the tag archive for the ‘LitCrawl’ tag. LitCrawl is coming! The big night is this Saturday 10th November 6pm – 9:30pm, where literary excitement will be descending upon all manner of interesting venues around Wellington. There’s other terrific stuff happening before and after too. Today the Meow Gurrrls interviewed the inimitable Chris Tse about his role as guest curator. It’s going to be a blast! While you’re waiting to find out the make-up of New Zealand’s 52nd parliament, here’s something to while away your time: planning which events to go to in this year’s LitCrawl. The Crawl itself is on the evening of Saturday 11th November and I’ll be in a session called ‘I’m Making a Sign’ with Marianne Elliot, Jeffrey Paparoa Holman, Rhydian Thomas and Rachel Stewart, at Pegasus Books in Cuba Mall. Here’s the full schedule. I have the usual problem of wanting to go to everything, which is not a bad problem to have. Intrepid organisers Pirate and Queen, aka Claire Mabey and Andrew Laking, have outdone themselves this year with an exciting range of associated events, like the ever-popular ‘Women of Letters’ and various LitCrawl Extended sessions at the City Gallery, including a Flash Fiction workshop with Irish writer Jan Carson. Can’t wait! Getting ready to read with Gem Wilder, Emma Barnes and Chris Tse at LitCrawl 2016, Hashigo Zake. What are you doing on Saturday? This Saturday, I’ll be at LitCrawl. If you’re in Wellies, you should be too. I shall be reading at Hashigo Zake 25 Taranaki St at 6pm with the stunning line-up of Chris Tse, Gem Wilder and Emma Barnes. When you write from a minority perspective, whether it’s your sexuality, your gender, your mental health or something else about you, there’s an expectation you’ll perform those parts of yourself. We choose what parts of ourselves we offer, reveal and share. We decide what we gift of ourselves to the audience. We’re not just queer writers. We’re writers. We’re not just genderqueer writers. We’re writers. We’re not just mentally ill writers. We’re writers. We’re all of these things and none of them. Come along to hear some writing loosely organised along non-heterosexual lines across genders and experiences. We’re wrapping up ourselves as gifts and we’ll rip the paper too. Featuring Chris Tse, Janis Freegard, Gem Wilder and Emma Barnes. 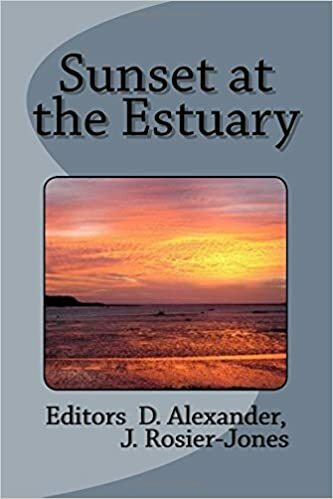 ‘Sunset at the Estuary’ is a tribute to the late Dianne Beatson who, with her husband, Peter Beatson, offered writing space in a lovely house in Foxton, as well as founding the Foxton Fellowship. The book contains a selection of poetry and prose from some of the many writers who have benefited from their generosity, including Sue McCauley, Chris Else, Alison Wong, Adrienne Jansen and Mandy Hager. It’s published by Rangitawa Publishing and edited by Dorothy Alexander and Joan Rosier-Jones. Over the years, I’ve spent a number of productive long weekends with writing groups at the Foxton house, which I’m very grateful for. Also released recently is ‘Of Paekakariki’ – poetry, prose and illustrations about (you guessed it!) Paekakariki. It’s edited by Sylvia Bagnall and published by Michael O’Leary’s Earl of Seacliff Art Workshop. Contributors include Roma Potiki, Dinah Hawken, Apirana Taylor, Sam Hunt, Frances Cherry and Leon Uris (who was stationed there during the war). I read my contribution along with many others at a very enjoyable launch in St Peter’s Hall. 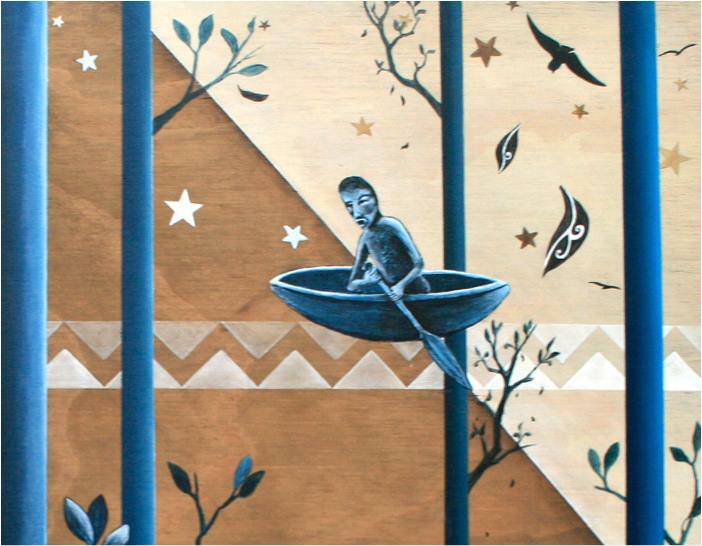 Cover illustration by Alan Wehipeihana. And finally, there is ‘The Poetry Bug’ from Parthian Press in Wales. It’s an anthology of poetry about insects, collected by butterfly expert John Tennent. The collection offers much humour and rhyme and the poets range from Horace and Virgil to Pam Ayres. Quite exciting to have my little cockroach poem from ‘Kingdom Animalia: the Escapades of Linnaeus’ rubbing shoulders with offerings from the likes of Tennyson, Rossetti, Whitman, Goethe and Dickinson. Also, it’s in hardback, which is always nice. Later today the Poetry Conference starts in Wellington – programme here. It fits nicely around LitCrawl too. Looking forward to both.